A strike at New Brunswick nursing homes has been averted for now. Workers will not be going on strike Sunday after the Court of Queen’s Bench granted a 10-day stay order. 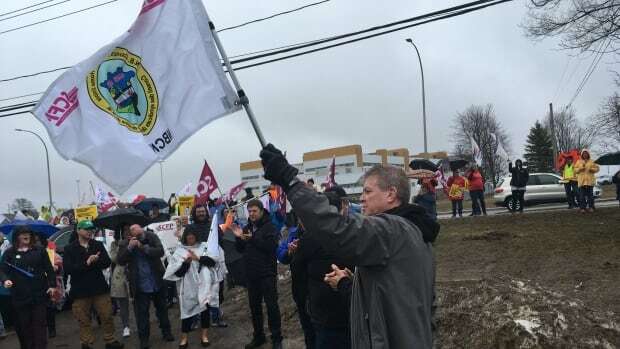 Social Development Minister Dorothy Shephard announced Saturday that 45 of the 46 nursing homes in New Brunswick will be prohibited by law from striking. York Manor nursing home in Fredericton is allowed to strike because it is a test case with separate legislation from the others. “While I support the collective bargaining process and workers’ ability to strike, the health and safety of nursing home residents is my primary concern,” Shephard said in a press release. The Canadian Union of Public Employees announced early Saturday that nursing home employees across the province would be walking off the job Sunday morning. The decision to strike came after thousands of workers voted in favour of a strike for higher pay and better conditions on Thursday. More than 90 per cent of approximately 4,100 workers voted in favour of a strike, according to results released Friday by the union.